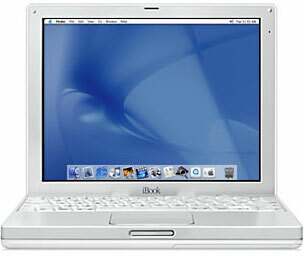 The Early 2003 iBooks are the first with the opaque white color scheme across the board, replacing the earlier translucent white. New 800 MHz iBook: How fast Is It?, Macs Only!, 2002.11.12. New 800 MHz iBook benchmarked vs. 700 MHz iBook, 800 MHz PowerBook G4.